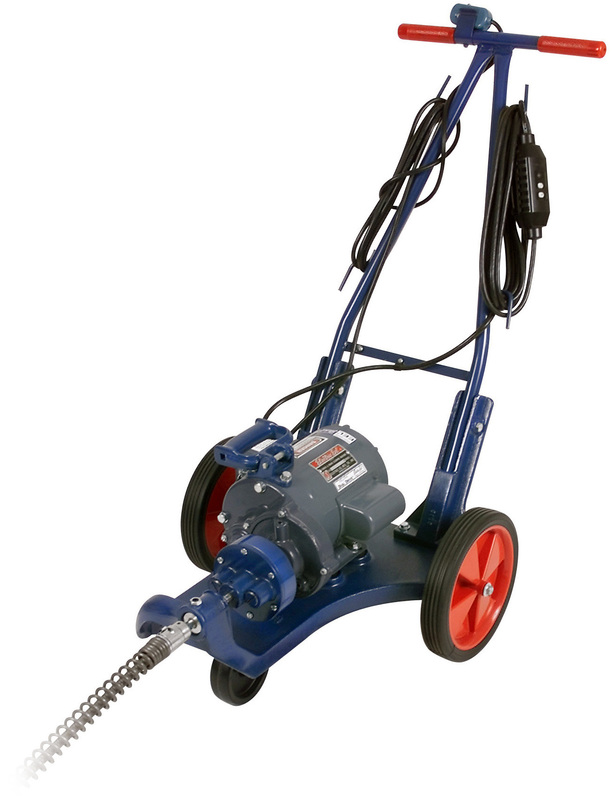 The original dual cable sectional drain cleaner from Electric Eel. The Model C runs up to 200 Ft. of 1-1/4" self-feeding dual cable in 8 Ft. or 10 Ft. sections. This "Tried and True, Better than New" Machine spins cable at twice the RPM of a continuous cable machine for maximum cleaning power in 3" - 10" diameter lines. The best unit available for tougher blockages such as tree roots and for longer runs in main sewer lines.